You can profit from our 30 years of experience in mouldmaking and casting. We cast from your prototypes in both white metal and resine (we mix the white metal to suit the item). Our technique is suitable for runs from 50 up to several hundred pieces. 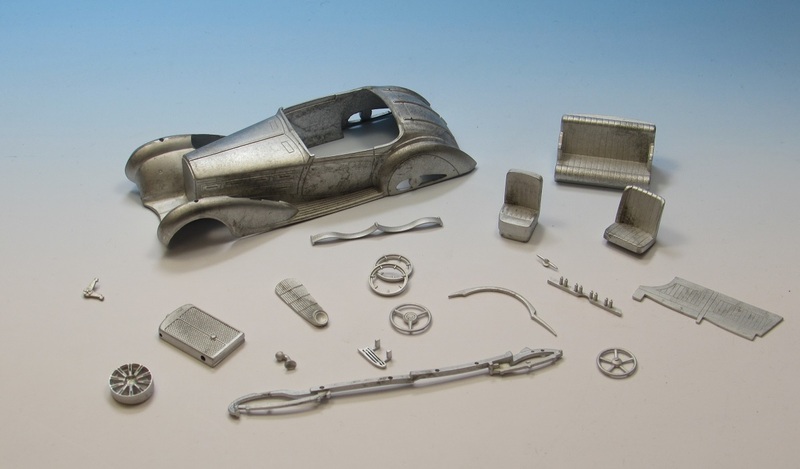 No matter what size the item is, from small items like 1/43 door handles right up to 1/18 scale bodies, our casting is of a consistently high quality. We can do small runs of whatever is needed: cars, trucks, ships, planes, etc. Sometimes it might be more suitable to make an item in photo-etch (for example 1/43 windscreen wipers).